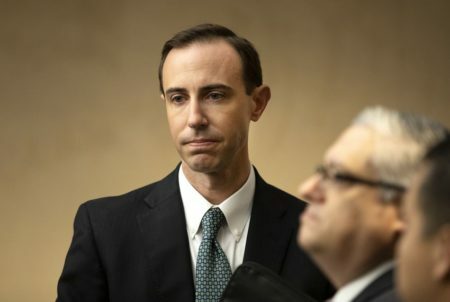 David Whitley was named Texas’ top election official on Monday, years after he started working for Abbott when the governor served as the state’s attorney general. David Whitley was named the next secretary of state by Gov. Greg Abbott. A high-ranking aide to Republican Gov. 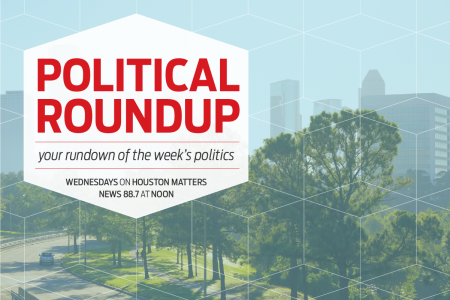 Greg Abbott is poised to become Texas’ newest top election official. 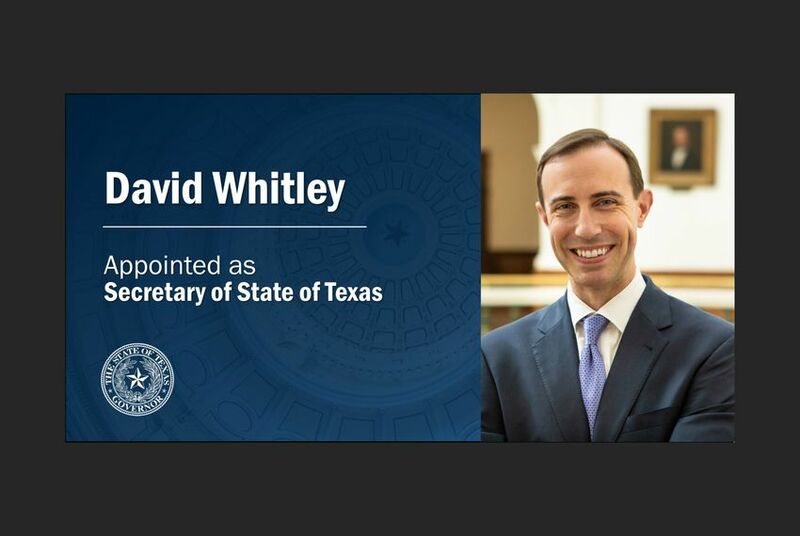 Abbott on Monday appointed David Whitley, who served most recently as the governor’s deputy chief of staff, as the next secretary of state. Whitley replaces outgoing Secretary of State Rolando Pablos, who stepped down Dec. 15 after nearly two years in the position. Whitley will need to be confirmed for the position by the Texas Senate. 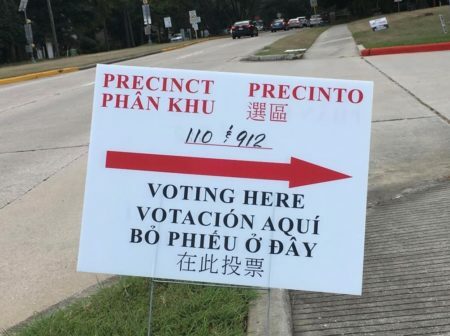 The secretary of state is Texas’ chief elections officer, assisting county election officials and working to uniformly apply election laws across Texas. Whitley began working for then-Attorney General Abbott in 2004. Whitley holds finance and law degrees from the University of Texas at Austin, according to Abbott’s statement. This article was originally published in The Texas Tribune. Disclosure: The University of Texas at Austin has been a financial supporter of The Texas Tribune, a nonprofit, nonpartisan news organization that is funded in part by donations from members, foundations and corporate sponsors. Financial supporters play no role in the Tribune’s journalism. Find a complete list of them here. Image via Governor Greg Abbott's Twitter account.